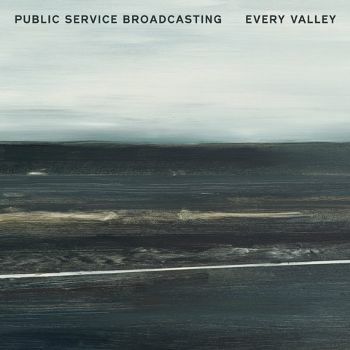 I've been a fan of Public Service Broadcasting for some years now, and have seen them may times live. They have been building a real following, and their music has grown in sophistication, while retaining its mix of samples from historical films and electronic music along with fantastic guitar and drums. Check out 'Everest' or 'Spitfire' from the early albums and EPs, or 'The Other Side' from their recent 'The Race for Space' album. Their new album, out in July has an industrial theme. NPR has the new video and some more details on the album. Details here from J WillGoose Esquire's blog. Our third album, Every Valley, is a story of industrial decline. It’s centred around coal mining in the UK, and in south Wales in particular, but it’s a story which has been repeated the (western) world over and which has particularly striking resonances given the current political climate. The album starts in a golden age, when miners were the ‘kings of the underworld’, as a certain Mr Burton puts it; it takes in life in the pit itself, moves through the recruitment drive of the early- and mid-1970s, stops briefly to think about mechanisation, automation and the march of ‘progress’, before beginning a downward spiral from the closures of the mid- to late-1970s into the all out conflict of the miners’ strike and its sad, lingering aftermath. It’s a subject that first came to mind as I was finishing our previous album, The Race For Space, and the more I thought about it, the more I interested I became. I have no personal ties to mining, be it coal or otherwise, and I have no family links to the area, but something about the story drew me in. This is an album about community as much as it is about mining; it’s the story of an entire region centred around one industry, and what happens when that industry dies. Perhaps something about the romanticism of the valleys and their geography drew me to south Wales in particular, perhaps it was their solidity during the strike of 1984-5 - or, far more prosaically, perhaps it was a response to the furious (mostly Cardiff-based) response to our 2015 ‘UK tour’ which featured not a single Welsh date. You can’t always explain these things, as I’ve learned. What’s certain in my mind is that this album isn’t just about mining, and isn’t just about Wales. It’s a story reflected in abandoned and neglected communities across the western world, and one which has led to the resurgence of a particularly malignant, cynical and calculating brand of politics. We recorded Every Valley in Ebbw Vale, historically a steelworkers’ town but one surrounded by coal mines, in the former lecture hall of their former workers’ institute. It seemed important to record in the valleys, as I wanted this album to feel connected to the area it was written about in ways our previous albums hadn’t been. I wanted the album to have a rich, earthy, full sound, and to carry some of the lilt and lyricism of the language itself, something embodied by its title, taken from a 1950s transport film. It hints at peaks and troughs, at the strength and solidity of the community, and the geographical reality of the industry. Shaping this album’s narrative was something that saw us yet again plundering the BFI’s back catalogue, as well as working with new archives and resources and even, in a few cases, conducting our own interviews with ex-miners and their families. We also worked with a far wider cast of collaborators and musicians than ever before, leading to it being by far our most ambitious (and definitely the most difficult) recording to date. For me it’s an album about pride, anger, strength and, ultimately, loss, and it raises far more questions than we could ever hope to answer. I think Every Valley is the best thing we’ve done by some distance, but ultimately that’s not for me to say; I hope our listeners enjoy it, and we’re really looking forward to sharing it with them. I do have a collection to coal mining, which I've blogged about before here. I've very much looking forward to this album.